The age of “gamification” has come, and BMW Group Financial Services is bringing this social nuance to its customer base of nearly 1 million individuals. 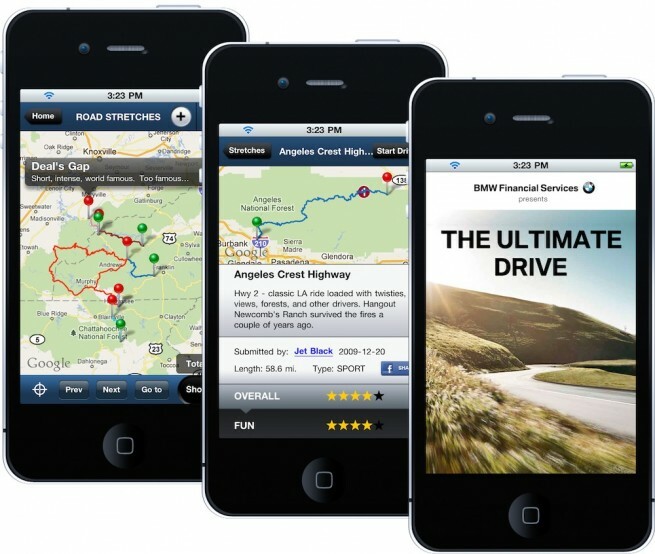 Beginning with the development of a new and unique mobile and social experience, “The Ultimate Drive,” is a social navigation mobile app that allows users to not only discover the best roads to drive in over 50 countries, but to rank, comment and share those roads via Facebook, email or other GPS devices. Future versions will integrate the ability for BMW Financial Service customers to gain points and achieve high rankings. As the first automotive channel, and specifically captive finance organization, to create a branded social navigation tool, BMW Group Financial Services defines itself as a consistent touch point with customers, through an engaging and interactive means. According to Pawan Murthy, General Manager of Online Business for BMW Group Financial Services, “The Ultimate Drive” is an example of how a captive financial services company can use mobile and social strategies as a consistent touch-point to customers while fostering a connection with BMW vehicles and the global BMW brand. While utilizing the latest in navigation technology, “The Ultimate Drive” still remains simple in nature and nearly effortless to use to its full potential – after downloading the app, the user allows the app to find their location and then it displays the stretches of road which others have contributed as the best ones in the area. Conversely, when the user has generated their own favorite stretch, it is as easy as three taps to share via email or Facebook or send to one’s favorite GPS device or app. “The Ultimate Drive” is available for both iOS and Android devices. It can be downloaded for free from Apple’s App Store and the Android Marketplace and is meant to broaden the social community around driving. BMW Group Financial Services is currently developing similar versions for its MINI Motoring and BMW Motorrad brands, and will be extending all applications for its financial service customers in the near future.